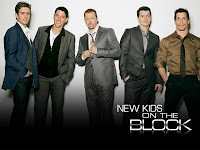 New Kids on the Block announced their U.S. tour this fall. I am going to beg my husband to get me tickets. I know, I am so baliw. To check their tour schedule, click here.